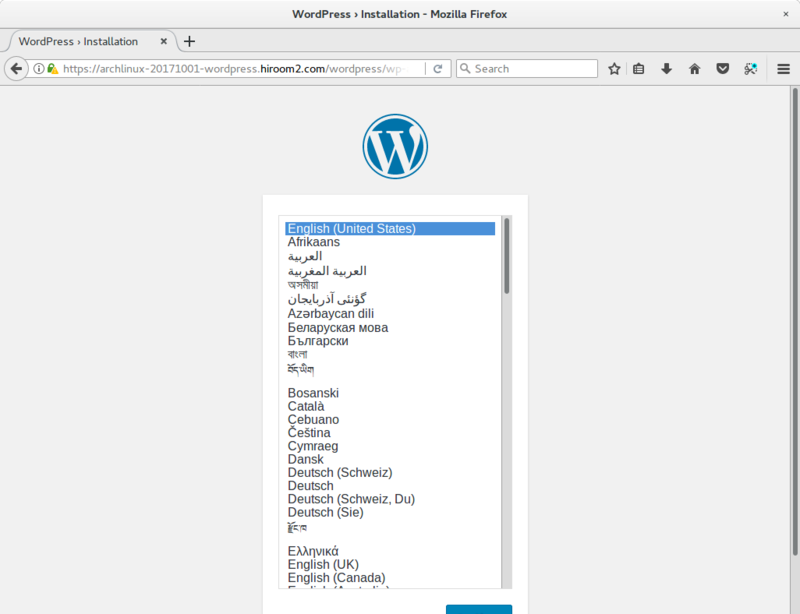 This article will describe installing WordPress which is a content management system. WORDPRESS_PASSWD is wordpress user password of MySQL. Access to the following URL via https. Accept this page's certification to browser.